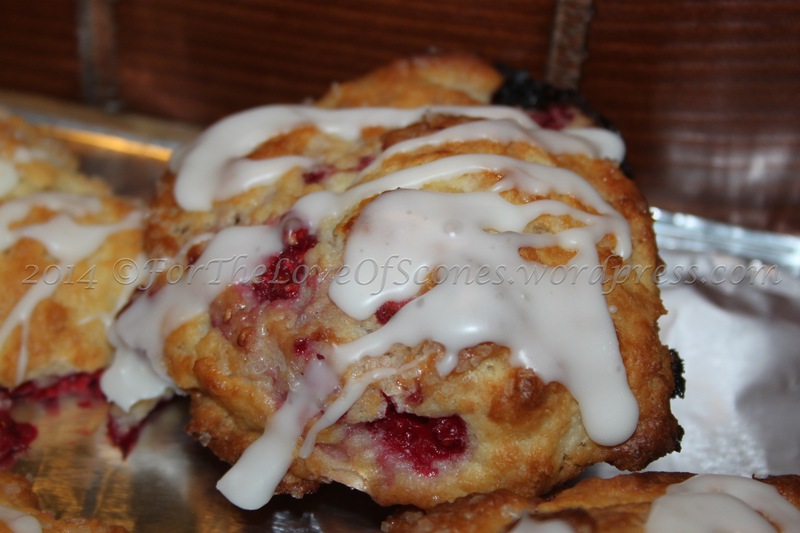 So that week when I made Lemon Blueberry Ricotta Scones–remember those? (Which some people claim to have liked?) Yeah, well, I overbought on lemons, and ended up with about 8 leftovers. (I bought a bag, all right?) So with that many lemons to use before they went bad, I had to come up with another lemon recipe. I also happened to have some mascarpone that needed to be used, thus this recipe. 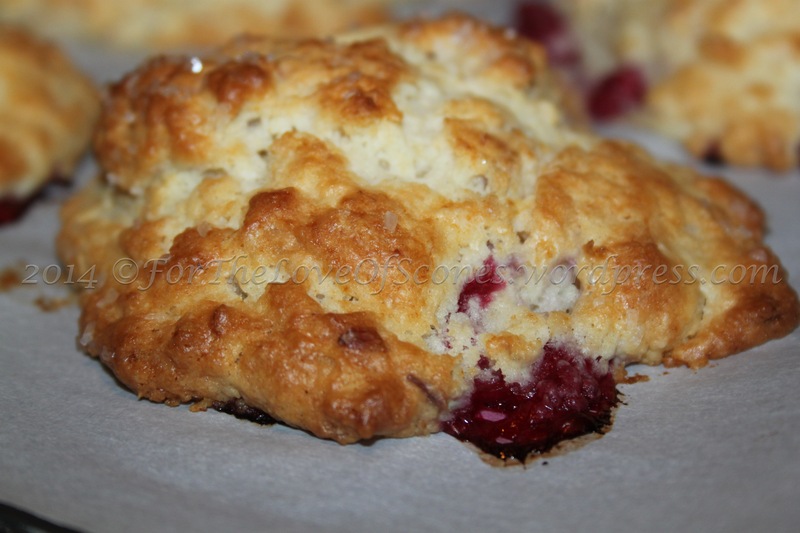 A lovely blend of raspberry and lemon complement each other in this scone batch. 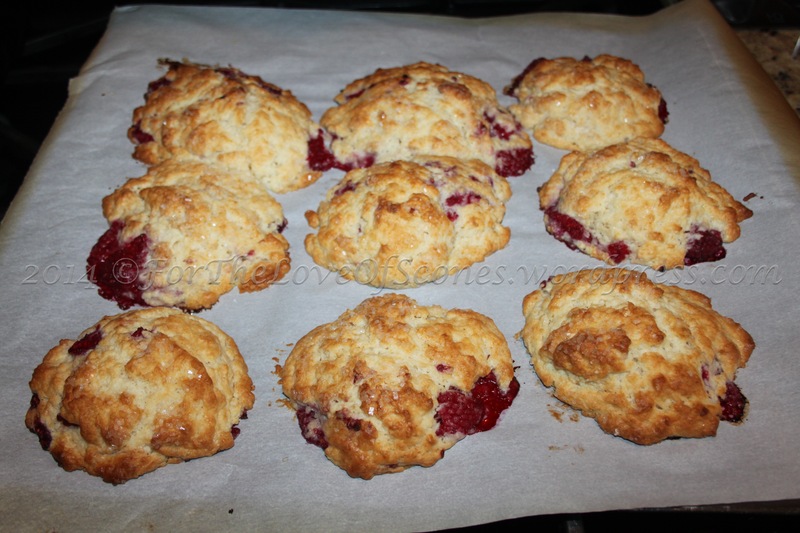 These scones were a mixture of fail and success for me. While their flavor is excellent, they spread out far too much. I needed to reduce the liquid, but had I done so, I wasn’t able to get the raspberries mixed in. In order to remedy this dilemma, I reversed the order of ingredients in my instructions. 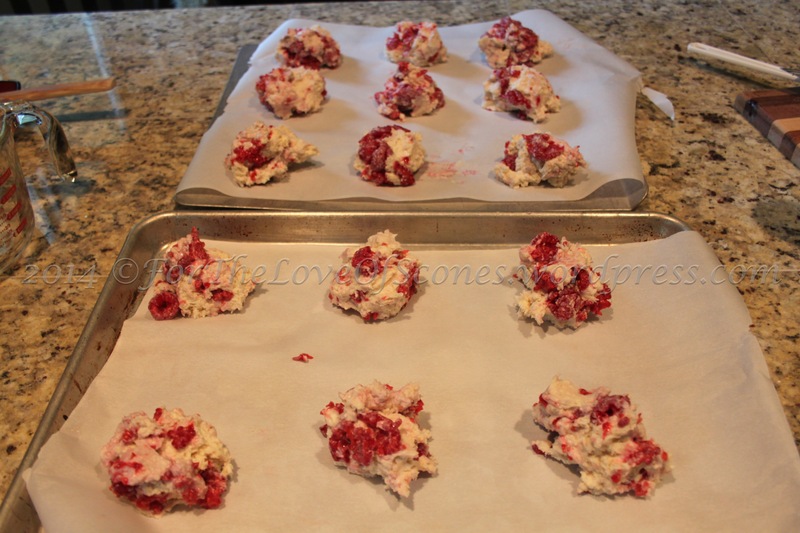 Instead of adding the fresh, unfrozen raspberries after the liquid, as I did, I would freeze the raspberries, mix them into the dry ingredients, and then add just enough liquid to bring the dough together. Time spent chilling in the freezer is necessary for these scones, as they do have a desire to spread out significantly while baking. These would be a great recipe to substitute blueberries or cranberries in. 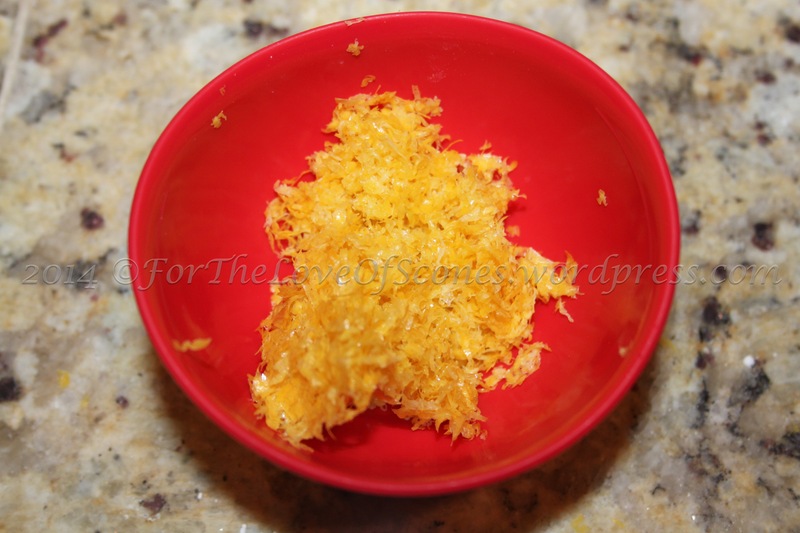 You could also substitute orange zest for the lemon zest and end up with a different version. All in all, a rich scone yet light scone thanks to the combination of cream, mascarpone, and citrus zest. 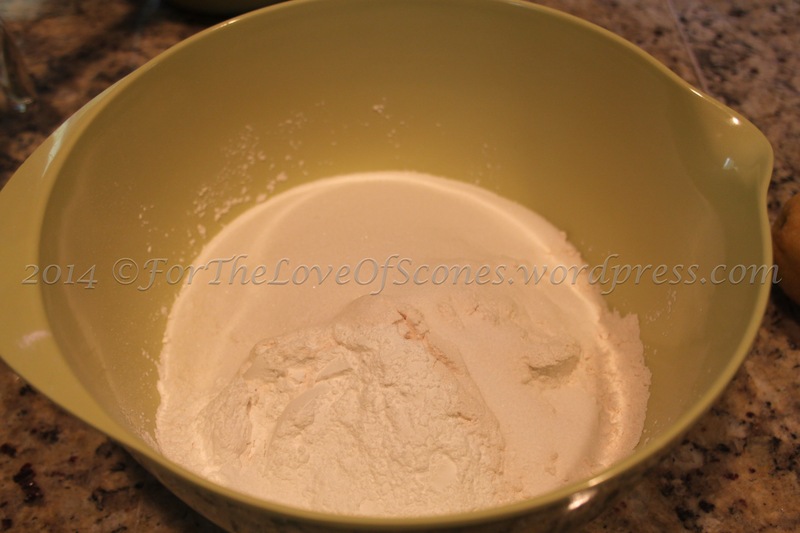 1) Whisk together flour, salt, baking powder, and sugar. 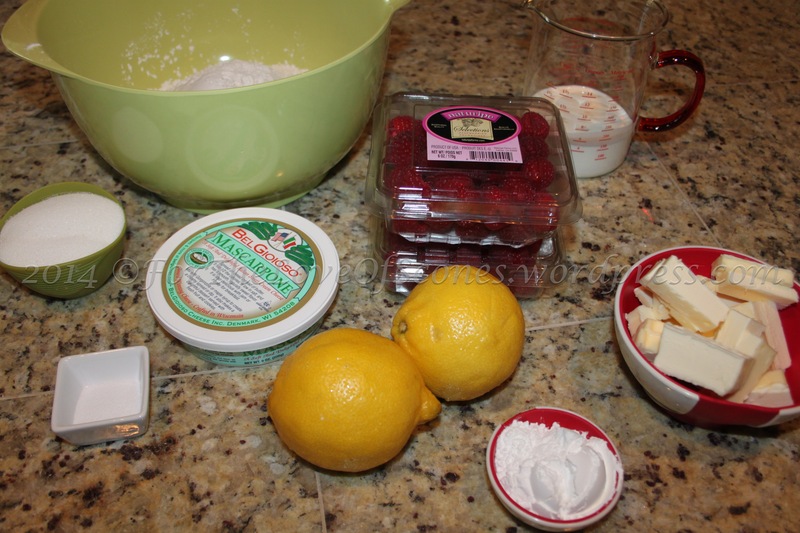 2) Wash and dry your raspberries and lemons. Zest both lemons. Juice 1 lemon. Baking Tip: If you are working with fresh raspberries, wash them by putting cool water in a bowl and floating the raspberries in the water. The debris will float to the top, the raspberries will sink, and you can skim off the debris with a large spoon, or poor the debris-laden water off the top of the raspberries before removing the raspberries from the rest of the water. Then line a plate with paper towels and put the wet raspberries on the paper towels, patting gently to dry. 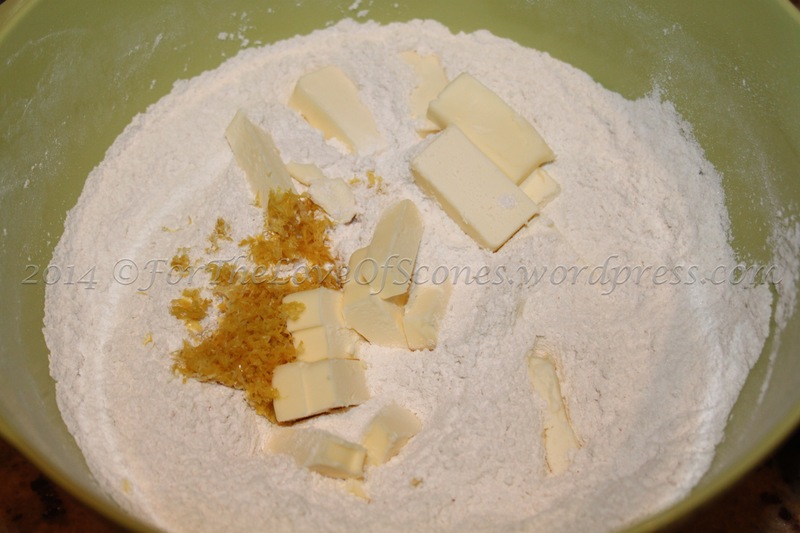 3) Add the butter and lemon zest and work into the flour with a pastry blender until only a few pea-sized pieces remain. 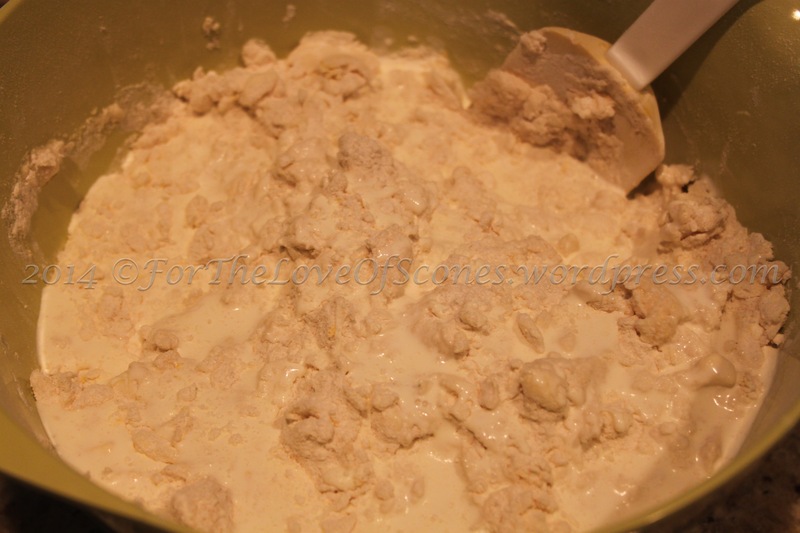 5) Add the lemon juice to 1-1/2 cups of heavy whipping cream and stir lightly to mix. 9) Chill in the freezer for at least 30 minutes. Toward the end of this time, preheat the oven to 425ºF. 10) After 30 minutes (or more) of chilling, bake at 425ºF for 20-25 minutes, or until golden on top. 11) Best enjoyed warm, but they also taste delightful once cool. 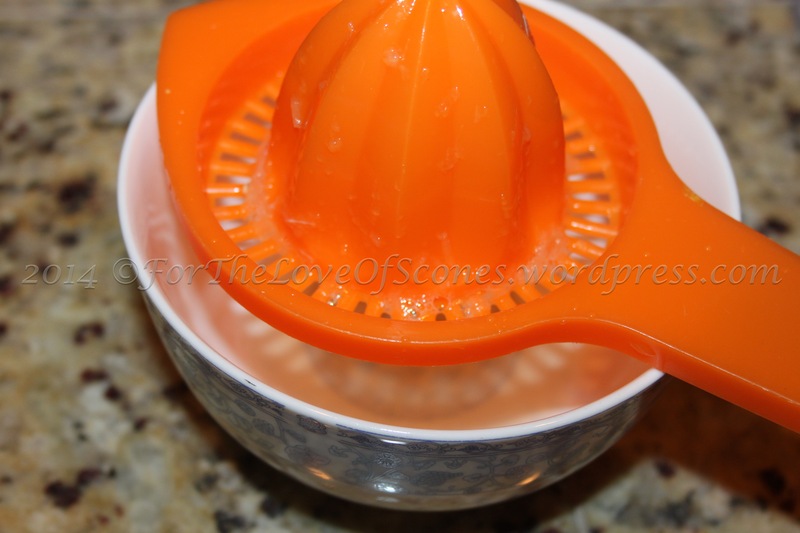 Measure everything out… be sure and wash the lemons and raspberries first! 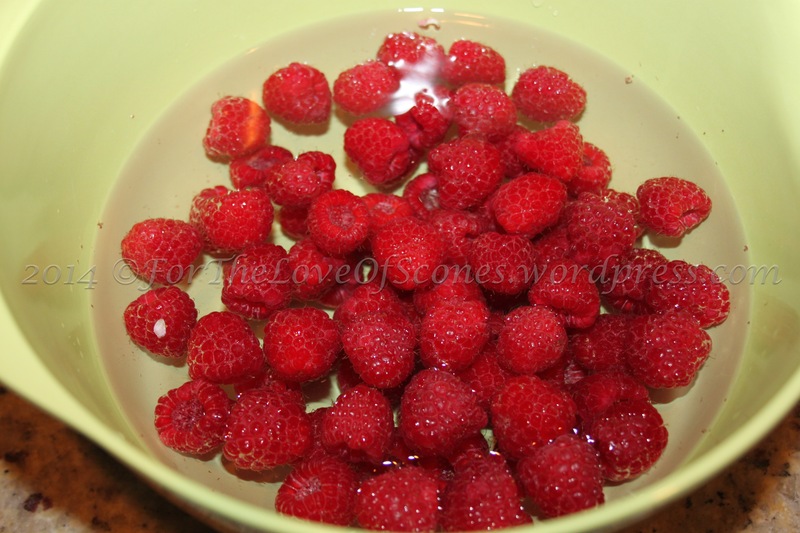 To clean raspberries without damaging them, put cool water in a bowl and add the raspberries. 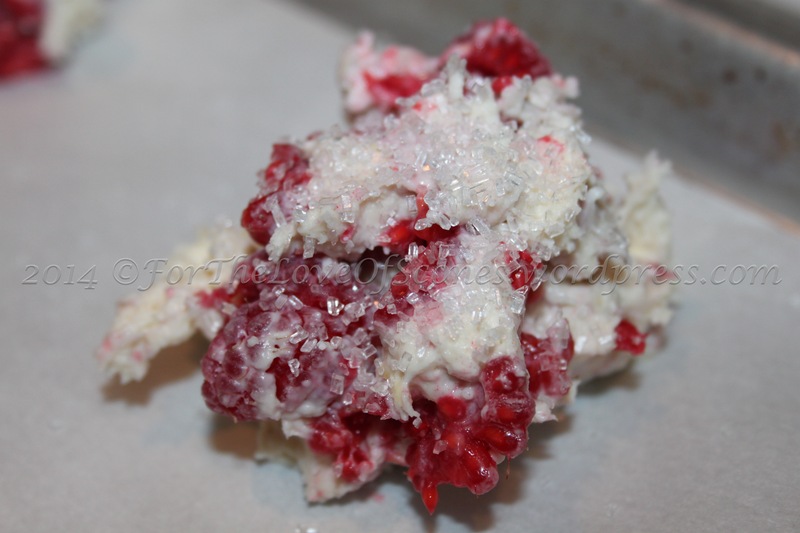 Any debris will float to the surface, and you can skim it off, or pour it off before drying off the raspberries. 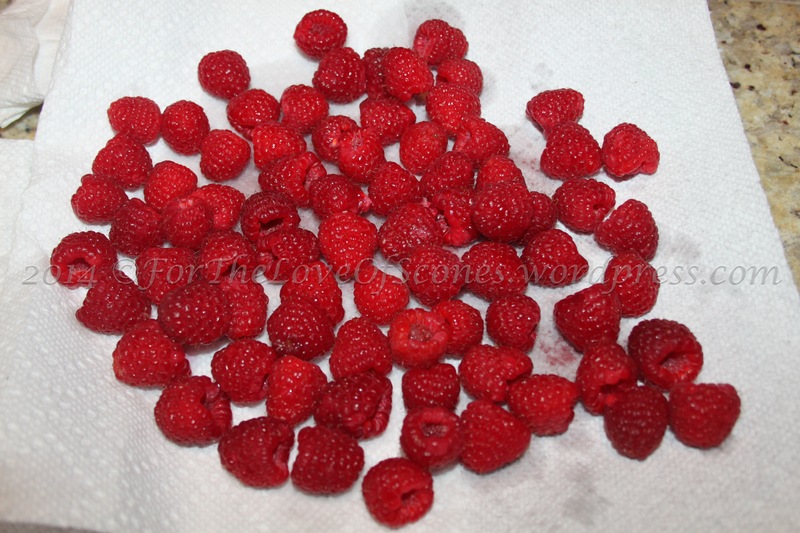 Scoop out your raspberries onto a paper-towel lined plate and pat them dry. 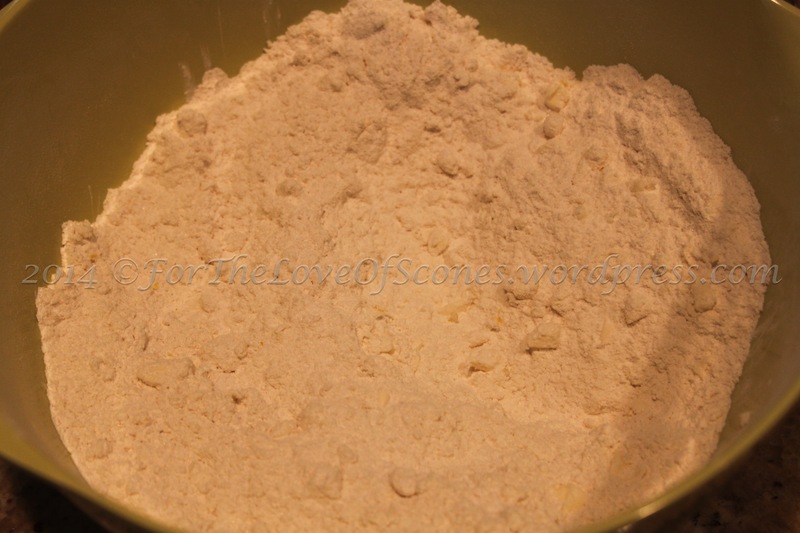 Combine the dry ingredients: baking powder, salt, sugar, and flour. 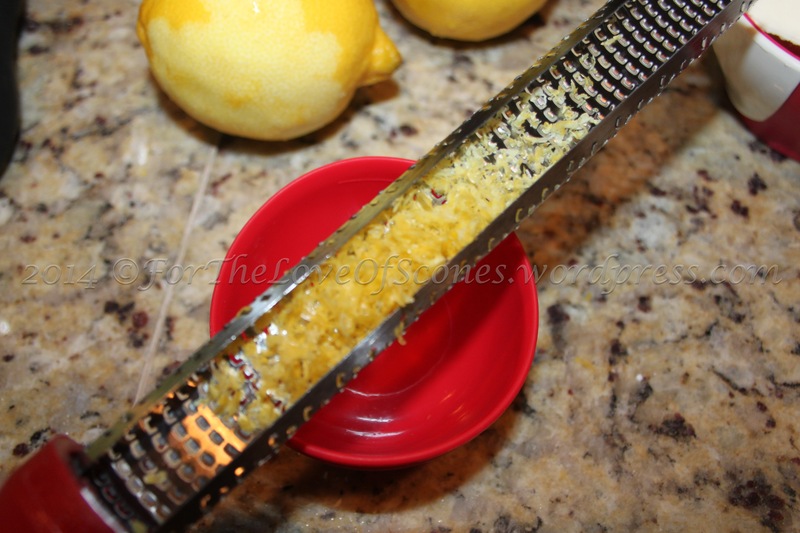 You should have a few tablespoons of zest from two medium-sized lemons. 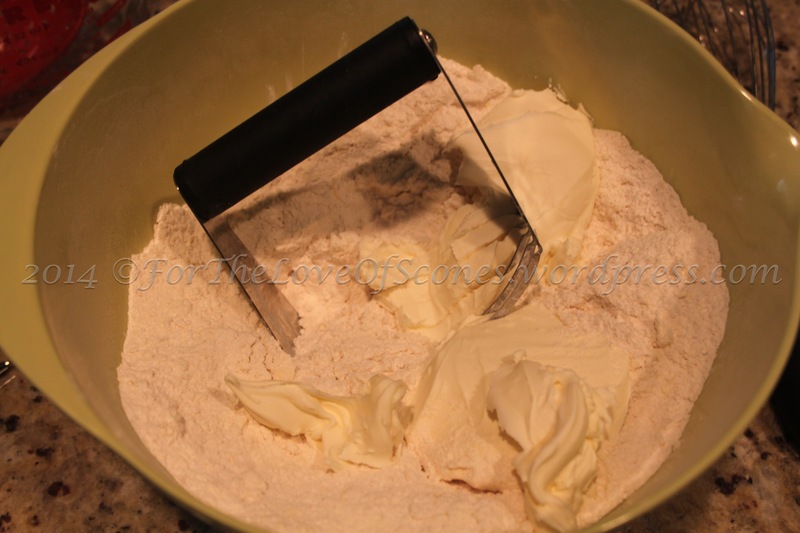 Add the zest and butter to the dry ingredients and work in with a pastry blender. Some pea-sized lumps of butter are okay. 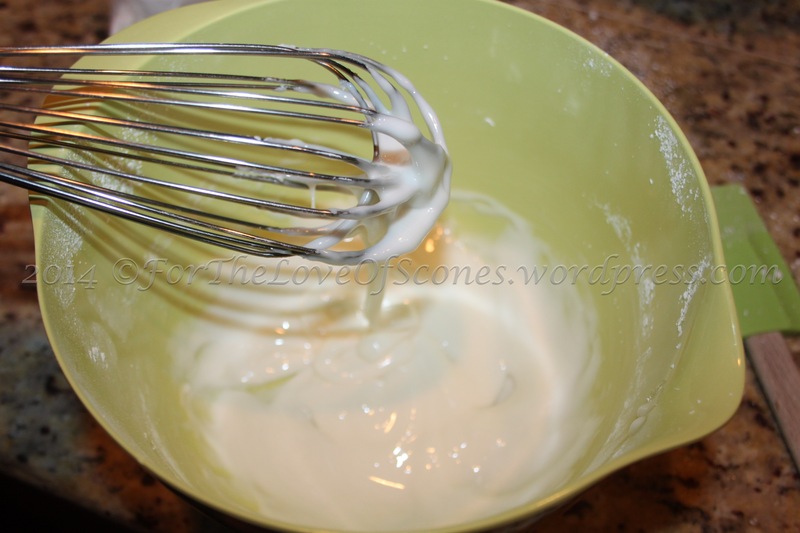 Add the 8 oz mascarpone to the mixture and work in with a pastry blender until uniform. You’ll end up with some larger chunks of mascarpone, and that’s fine. Begin by drizzling in part of the lemon juice-cream mixture. Try not to add more than needed, as the mascarpone tends to make this scone spread out more than normal in the oven. Still, you’ll want a slightly sticky dough for drop scones. 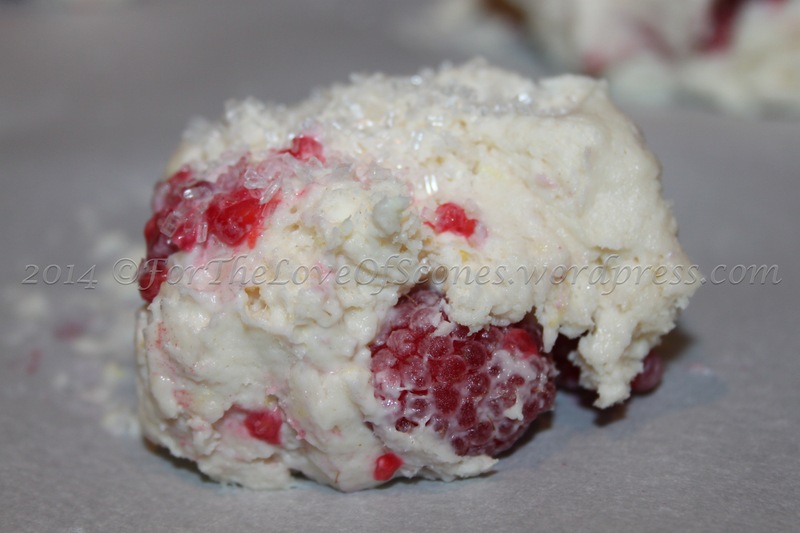 *Out of order with listed instructions* Add the raspberries (fresh or frozen) to the dough and fold in as gently as possible. Use a greased, 1/4-cup measuring cup to scoop out your scones onto a parchment-lined baking sheet. 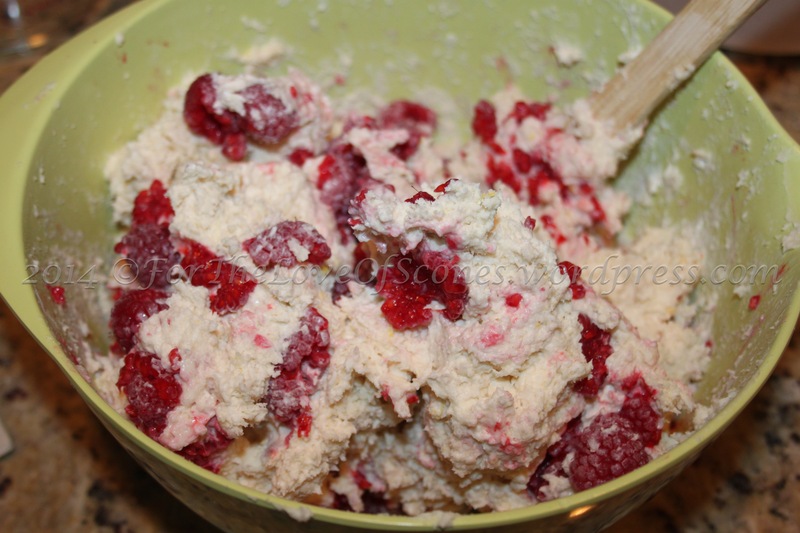 There is no shortage of raspberries in this recipe! 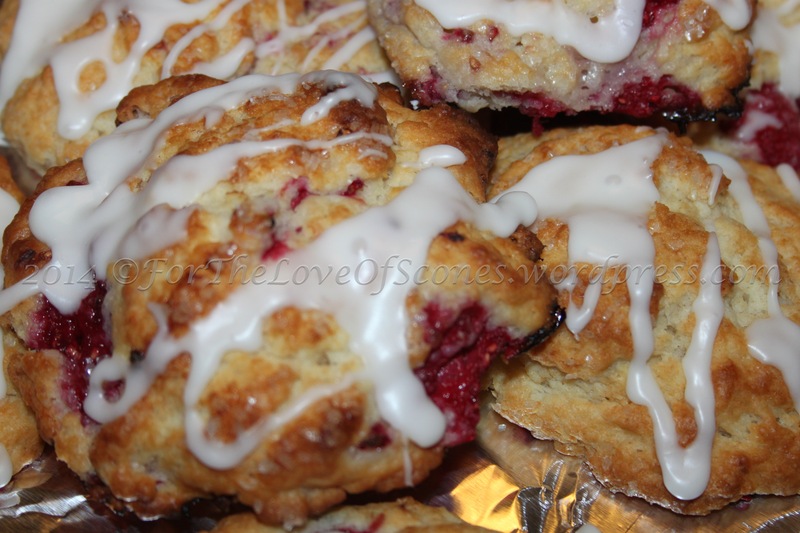 Space them generously on a baking sheet, as these were soft scones that had a tendency to spread out, even if frozen. Not the most attractive scones I’ve made (by far!) but they tasted really good! Bake until they have that beautiful golden sheen. 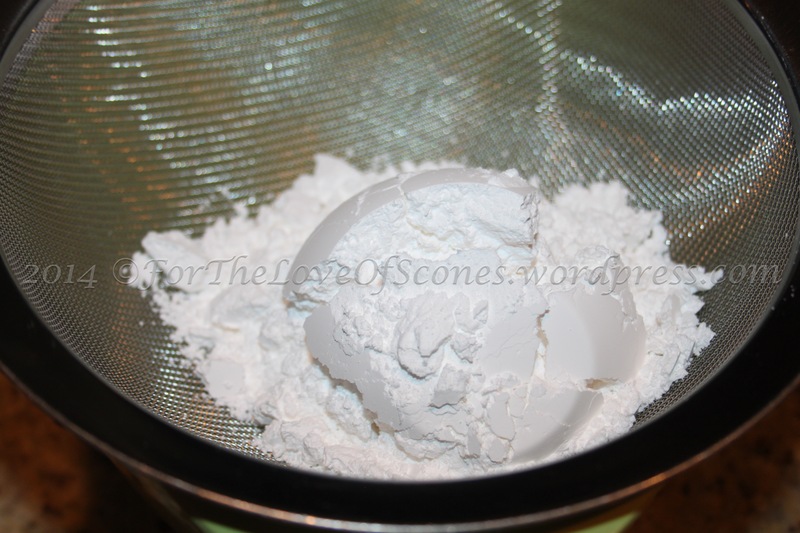 Sift the confectioner’s sugar through a mesh sieve in order to avoid getting clumps in your glaze. Juice 1/2 a lemon and add to the confectioner’s sugar. In order to get a drizzling consistency, add half and half until the mixture is thick, but able to be drizzled over your cooling scones. I have mixed feelings about these–they were far too soft, so they spread out despite freezing. 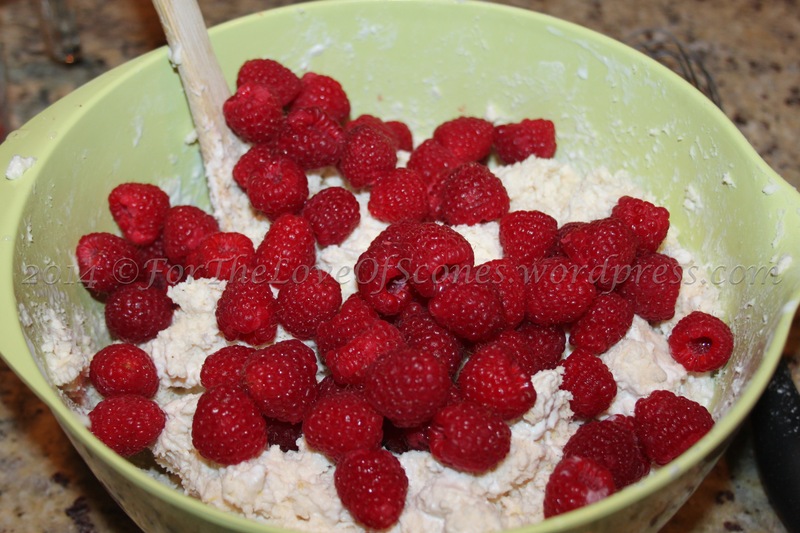 Part of it is because I added the raspberries after the cream (which I reversed in the instructions). So my result was a great tasting scone that came out like pancakes… How disappointing.